How long has worked for Smart Training? 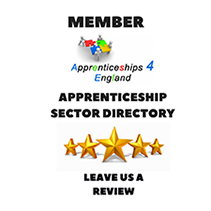 Smart Training and Recruitment is a national training provider delivering high-quality Apprenticeships programmes for learners of all ages. Learning programmes delivered in England and funded by the Skills Funding Agency are part-financed by the European Union through the European Social Fund (ESF). ESF supports activities to extend employment opportunities and develop a skilled workforce. Smart Training and Recruitment are GDPR Compliant. Robust protection of our learner's and employer's personal data is at the forefront of our commitment to this legislation. Data will never be shared with any third-party marketing companies. © Smart Training and Recruitment 2018. All Rights Reserved.